PHOTO SPREAD: TEAM RIVER RUNNERS ON WESTWATER CANYON pics by John W. Mitchell | DBP MAGAZINE ONLINE The World's Best Free Whitewater Publication. 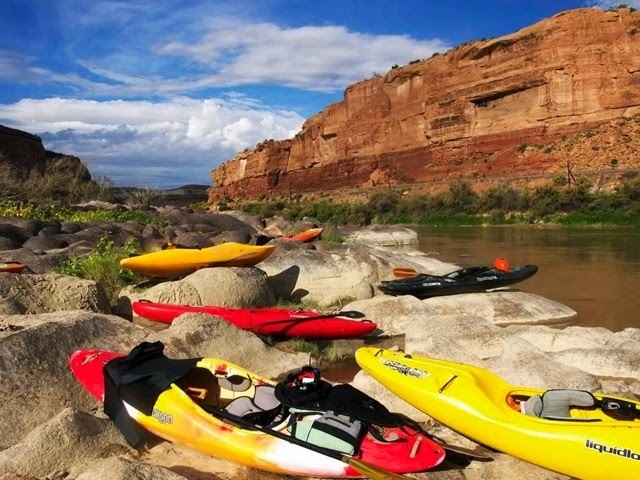 These pictures were snapped by Mr. Mitchell while out on the river with Team River Runner, a mission he wrote about in the article “Out-Paddling The Demons- Team River Runner Westwater Trip 9/26 – 28 2014.” Please enjoy the full article here at DBP MAGAZINE ONLINE, posted on 11/28/14. 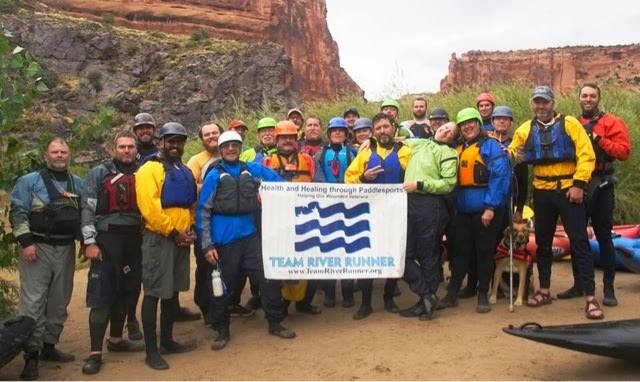 Members of the first Team River Runner and Colorado Discover Ability expedition pose for a group shot. A vet celebrates his successful run of the first significant rapid of the trip. 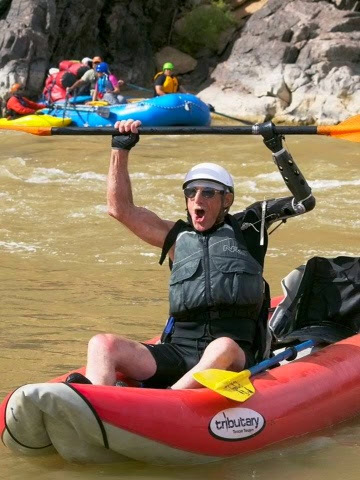 Dave Robey, a Navy veteran with the national TRR office in Washington, D.C., watches a group of kayakers power through a rapid. 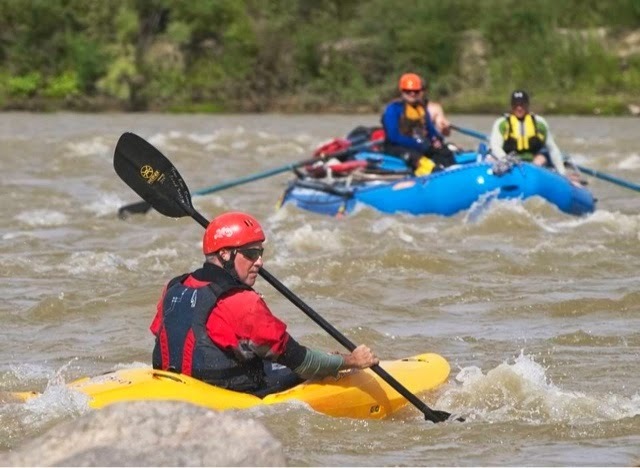 A group of Team River Runner vets take on a Class 3 rapid in Ruby Horse Thief Canyon. Class 4 rapids were waiting for the group the next day in Westwater Canyon. Sunrise on Day 2 finds the team’s kayaks waiting against a splendid backdrop. 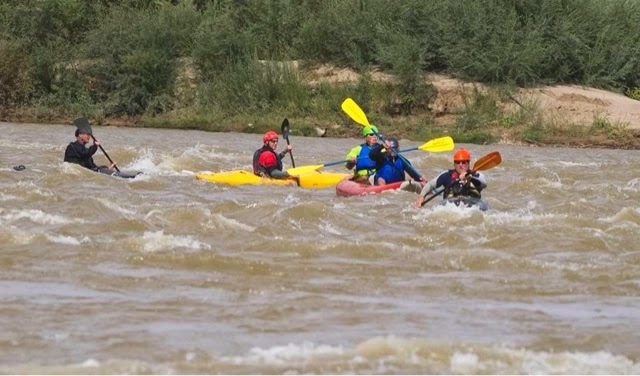 If your local paddling community would like to get involved with Team River Runners, contact Dave Robey at [email protected] r iv errunners.org or through their website at http://www.teamriverrunner.org/ .